We're sending off our summer of botanical cocktail-ing with the original floral infused libation, the classic Aviation Cocktail! Look. We are NOT happy that summer is coming to an end. Nor are we particularly thrilled that our season of summertime cocktail-ing is also winding down. We've had a blast exploring seasonal botanical sips - tracking down recipes, testing them out (tough job but someone had to do it! ), and sharing our findings with you wonderful people. But everything must come to an end... So we figured why not save the best for last - the original, perhaps the botanical cocktail that started it all: the classic Aviation Cocktail. The Aviation was created in the early twentieth century by Hugo Ensslin, the head bartender NYC's Hotel Wallick. He published the recipe for the drink in his 1916 book, Recipes for Mixed Drinks. 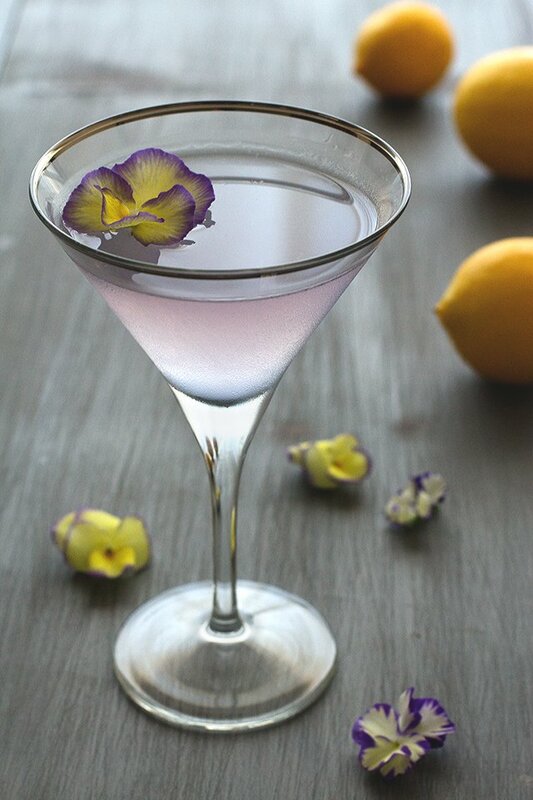 In 1930, another bartender, Harry Craddock, published The Savoy Cocktail Book, in which he shared a new version of the recipe in which he omitted the crème de violette, as it had become relatively hard to find. 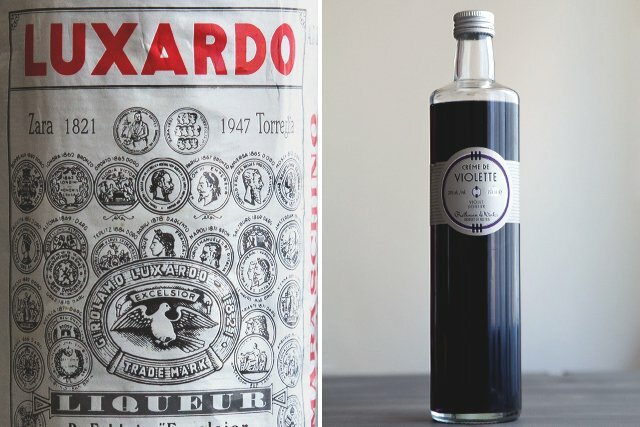 As the years went on, bartender's leaned towards Craddock's recipe as a result of the hard to find violet liqueur. BUT, crème de violette is BACK and you can find it at places like BevMO, so Ensslin's original recipe is having a little renaissance. Aren't you thrilled? We are. OK, we are done talking and ready to get cocktail-ing! 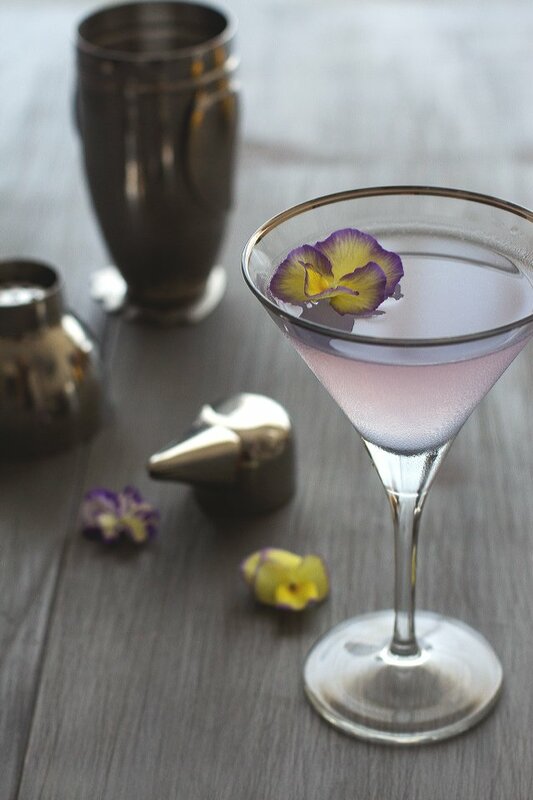 So without further adieu, our favorite recipe for this gorgeous, purple, floral-topped beverage thanks to the awesome team at Honestly Yum. Cheers! 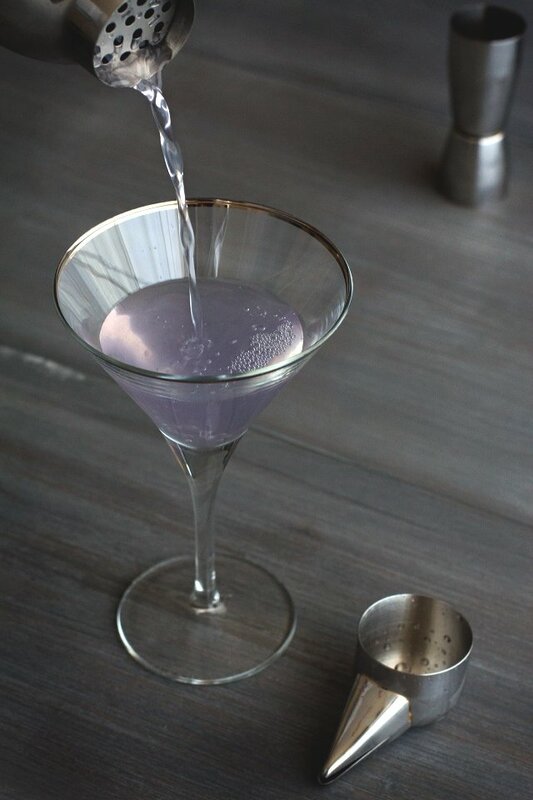 Fill a cocktail shaker with ice and add gin, maraschino liqueur, lemon juice, and crème de violette. (we totally heart Honestly Yum's penguin cocktail shaker, and if you do too you can order your very own here). Shake for a good 10 seconds (come on, people, take this seriously and do the old school "one Mississippi" count!). Remove lid and strain into a chilled cocktail glass... this martini glass is super pretty, but really any lovely cocktail glass will do! 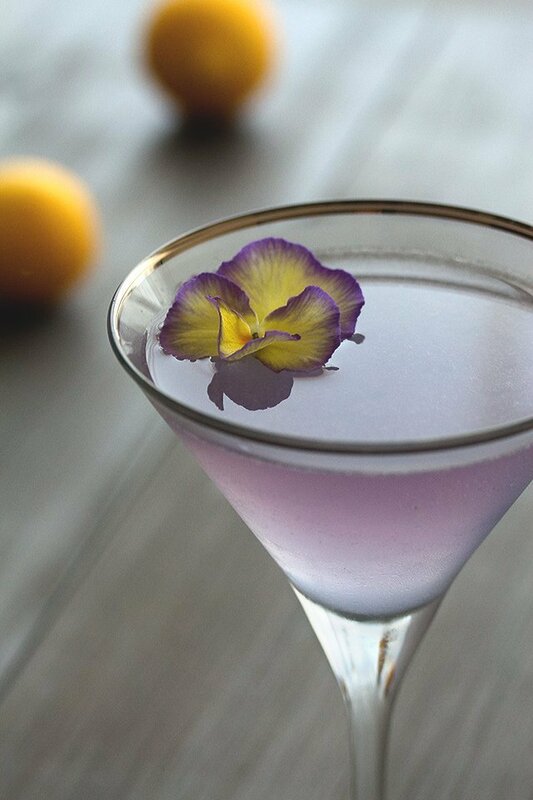 Garnish with the edible violet, and you are ready to start sipping! Over the course of the summer we've talked A LOT about edible flowers and garnishes. 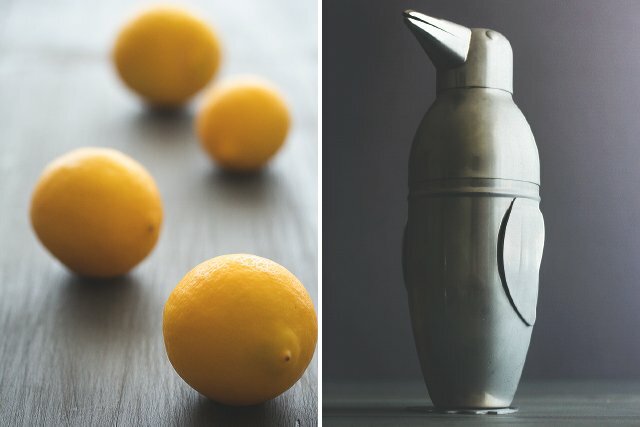 And while we like Whole Foods for our edible floral needs, there are also a ton of other great options when stocking up for your botanical cocktail party. Farmer's Markets are a great choice as they have gorgeous and extremely fresh product and are a lovely way to support local growers in your area (which is obviously awesome); and you can now order most edible flowers online and have them shipped right to your door overnight. 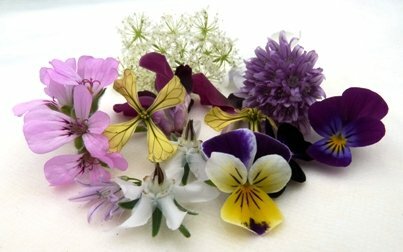 Get the skinny on everything you will ever need to know about buying edible flowers here (yeah, so maybe we should have provided you with this handy link weeks ago... but better late than never, right?!)! Well friends, that's it. That's the end of our Summer Botanical Cocktail series. Thanks again to all the amazing recipe and photo resources we used the last couple months - we couldn't have done it without you :) We hope everyone has had as much fun as we have, and that your Labor Day Weekend is filled with floral cocktails! And now, back to our regularly scheduled wedding and flower blogging!